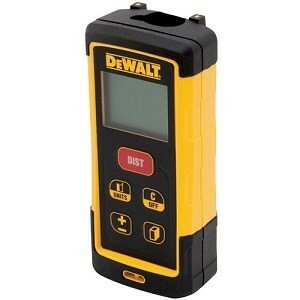 A laser tape measure is a quantum leap forward for home or professional construction workers. It gives you point-and-shoot measuring, eliminating the actual tape altogether. Using a laser tape measure means no more dragging the metal strip across great distances, repeating, etc. You won’t have to fuss over the tiny has marks or negotiate bent tape. 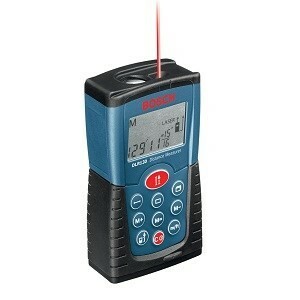 The laser tape measure will do it for you, and will beam out measurements in a variety of formats. Likewise, this article will deliver a high caliber of service, enough to blind you. 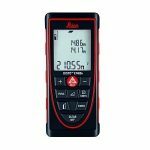 Not only will we review the hottest laser tape measures on the market, but will also break down the factors to consider before springing for one of these awesome nuggets of helpfulness. 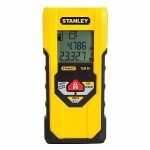 The Stanley TLM99 laser tape measure is all about distance. 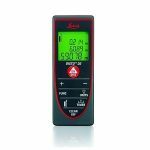 With a range of 100 feet or 30 meters, it allows a person to measure solo. The bad boy is endowed with a continuous tracking function. This is what locates the target in a hurry and ensures for the single-person use. 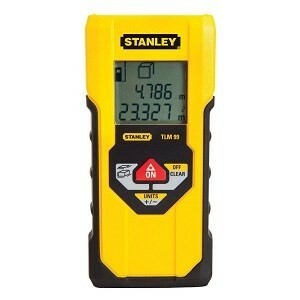 In terms of accuracy, even when the Stanley reaches its full range, it delivers accuracy to 3/32 in. It’ll do math for you, including addition and subtraction, plus dealing with fractions and talking in metric. The Stanley is a must-have for contractors, tradesmen, interior decorators, etc. The measure is 10.9 inches in length, 7.3 in width, and 1.6 tall. It weighs in at half a pound. It comes with batteries. 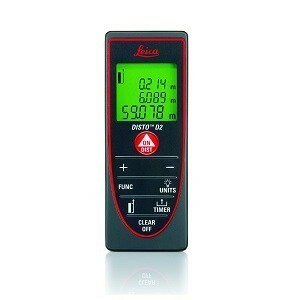 This laser tape measure is very user-friendly, a dream to work with for the home carpenter. The boss function of the Bosch is its Continuous-length mode, which updates a length measurement as the user moves forward. Real-time updating takes place in under a cool four seconds. 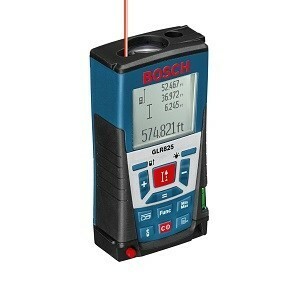 The Bosch reaches accuracy levels of 1/16 inch or 1.5 millimeters. It measures length, area, and volume. Its max distance is 130 feet. The Bosch sports an ergonomic soft-grip area, another user-friendly gold star. 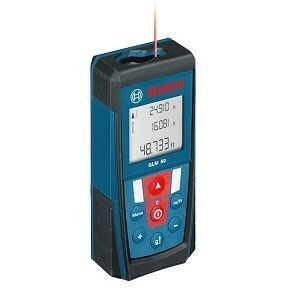 This laser measure is an absolute workhorse. As you put it through its paces, it stores your measurements, up to four, allowing you to be a workhorse as well. Though it has a simple design, the DW laser tape measure covers all the bases, calculating volume, area, and distance. Accuracy gets to 1/16 in. It will measure an impressive 165 feet, or 50 meters. If you’re into extreme construction, this one should be one of your top candidates. Water and debris resistant, the Dewalt would meet most standards for durability. If you’re looking for tough, smart, and ready to work, consider the Dewalt DW. 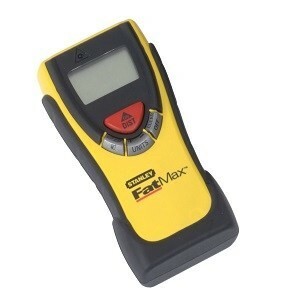 This is a simply-designed laser tape measure unit for relatively-light duty. While it doesn’t have all the whistles and bells, the GLM 50 does go for the distance, operating at up to 165 feet (50 meters). Great features include the continuous length mode and indirect length measurements. 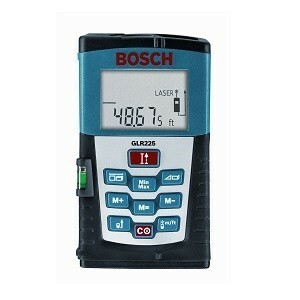 With the Bosch GLM 50, you get a belt pouch and batteries. This Bosch model is chock full of interesting and useful features. One of these is its abilities to calculate multiple surface areas, so you can calculate square footage of walls, floors, etc. 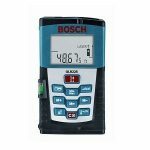 The Bosch 225 laser tape measure sports continuous and indirect length measurements as well. This goes into places where obstructions prevent direct measurement, applying the Pythagorean Theorem to get indirect length. In terms of distance, the 225 goes to 230 feet, making it just about the longest-range measure you’ll find. It is accurate to within 1/16 inch. You’ll also get area and volume with this versatile tool. It has point-and-click ease to boot. While going to the CST/Berger website is like enrolling in a science course, the company has done its homework, so all you have to do is a bit of research. You can see that the company is proud of its products and the science behind them. However, fancy terminology won’t get the job done by itself. The TLM100 laser tape measure does have a lot of meat and potatoes, even if it doesn’t gobble up the distance. As the number 100 implies, the CST/Berger TLM100 springs for a distance of 100 feet (30 meters). That puts it in the middle of the pack, distance-wise. Yet, for such a streamlined tool, it does give you area, volume, and of course, distance. Therefore, if you’re looking for something not too complicated or pricey, and have indoor jobs like flooring or painting, that’s where the TLM100 may come in. In the world of tools, go with a name you can trust. That’s because of the functionality. If you want to try a raspberry-wheat dunkel, you can choose from a wide variety of craft beers, and variety may be what you’re looking for. But when a mistake could be costly, it’s best to stick to just a few big names, and Bosch is one of them in the land of laser tape measures. The GLM80 is compact and easy to use. 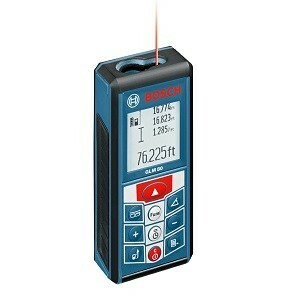 Don’t let the 80 laser tape measure in the name fool you—that’s meters, not feet, meaning you’ll be getting 265 feet of distance, and that’s impossible to top. Accuracy runs to 1/16 inch, and it will also churn out area, volume, and angles. The GLM will give you indirect measurement mode, which gives you the capability of obtaining difficult measurements you’d otherwise not get, thus putting the tool into the upper levels. With multi-surface calculations, the GLM becomes suitable for pros and at-homers alike. And it does come with a lithium-ion battery. If you value a light, compact tool, this should be near the top of your list. Weighing in at 3.2 ounces, this laser tape measure measures 4.4 x 1.7 x 0.9 inches, which is particularly nice for light use indoors. This little gem gives indirect measurements via stakeout mode. The distance from this pocket-size tool isn’t half-bad, 197 feet (60 meters), with an accuracy of 0.06 inches. What’s interesting is that even though this measure is tiny, it still comes with a holster, emphasizing its ability to stay out of the way. This laser tape measure combines durability with functionality. First and foremost, it delivers distance, to the tune of 265 feet (80 meters), within 0.04 inches of accuracy. One of the most beautiful things about the Leica is that it has the versatility to offer measurements you need for a wide variety of jobs. These are stakeout, straight line, continuous, smart horizontal mode, triangular area, and volume. Because the Disto is water-resistant, it works out just fine for outdoor jobs. Now, one thing that’s kind of cool about this laser tape measure is that it does have just a touch of storage and the ability to magnify your target for super-long distances. After going product by product, we’ll now go into a handy breakdown of the factors to look for when picking out a laser tape measure. The first major factor is range, how far the beam will measure. Low end models have ranges up to about 65 feet; mid-range models will go about 100 feet up to 300 feet; and there are some high-end models that actually measure up to 800 feet. Now, not all remodeling or light construction jobs are huge. We all find more measuring tasks around the house (or apartment) than we’d anticipated. A starter house or average apartment will need only one of this lower-end units. In fact, small businesses, with rooms of no larger than roughly 200 square feet, should be able to use one. When you get into a warehouse, or even a large house (about 2,400 square feet and up), particularly if it has high ceilings, you may go for a mid-range measure, roughly 100-300 feet. Once you get into one of the larger projects in this category, such as field or road projects, you may wish to get into one of the high-end products. 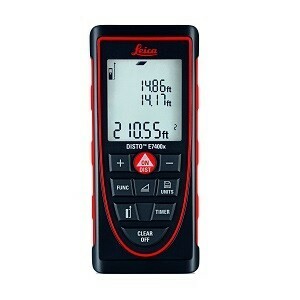 Leica Geostystems Disto E7400x- 265 ft.
Leica Disto D2- 197 ft.
As you can see, the Bosch GLR825 is the best bet for professional applications, including large, outdoor projects. The rest of the measures should be good for not only apartment and small home use, but also larger houses, businesses, and small outdoor projects. If you are working in a large parking lot or with agricultural projects, you may wish to use one of the top 8 in the list, with the CST Berger and Stanley TLM99 cutting it close. However, here I am speaking only of distance and not the other factors. Then again, if a measure does not give you the right distance, it’s probably just not going to work. It’s not the only factor, but it can be a deal-breaker. Laser tape measures are always rather accurate. They work by the mechanism of precision optics and lasers, determining distance by comparing the physics of the beam to the beam’s reflection; alternately, they do so by calculating the time for the laser to reach its target and reflect back to the unit. Now, keep in mind that accuracy depends on how precisely you position and hold the laser. That means that human error can creep in, yet all you have to do is pivot the unit cleanly as needed and hold it steady. As you may have noted in the above reviews, many units will give measurements to within 1/16 inch (1.5 millimeters). Some will guarantee only ¼ inch, while the rare unit will be as accurate as 1/32 inch. A measure going to ¼ inch is best for an area measurements, which give you the size of the space you’ll be working on, with examples being tiling or painting measurements. Now, when you get into siding, fenceline, etc., you’ll want to get a lot closer to 1/16. Finally, if you’re looking for a laser measure for super-high-precision tasks such as laying foundations, grading roads, or laying pipe, you’ll want one of the higher-end units that go to 1/32 inch. A lot of times, people shrug off laser tape measures, feeling that the old kind works just fine, and that lasers are a lot fancier than what they need. But that kind of thinking comes from thinking of these tools and being just for basic measurements. In fact, they do much more. Most laser tape measure models display measurements in various formats, such as inches, feet and inches, decimal feet, and metric. They can also calculate simple distance, area, and volume, with some models capable of calculating more advanced geometries. Many do-it-yourselfers, contractors and carpenters will mostly calculate distance, area and volume. If you may be interested in more complex projects, refer to the following summary of functions of laser tape measures. Area – A calculation of the total surface area from length and width, e.g. the surface area of a wall to be painted, a floor that you are going to carpet, etc. A laser tape measure saves you a trip back to the fourth grade. Volume – How much a particular area will hold. This is calculated using length, width and height. Examples include determining how much soil you’ll need for a garden bed, how much water to fill a swimming pool, or how much concrete to cover your driveway. Continuous Measuring – This function allows one to walk off measurements from a starting to point to the end point, such as from a wall, door or other surface to your end point. It can also be applied to outdoor paths or other distances. Min/Max Measurement Mode – used to get an accurate measurement from a fixed reference point to both the shortest and longest distance from that point. Multi-surface – Calculating the total area of multiple surfaces that have a common length or height, e.g. walls or garden plots. Single Indirect/Pythagoras – Finding the height or width indirectly from a distance. Per the Pathagorean Theorem, one needs just two measurements to indirectly calculate horizontal or vertical distances along a triangle. Double Indirect/Pythagoras – Measures portions of a total height, using a known distance. One needs three measurements to calculate horizontal and vertical distances along a triangle. Examples include determining the heights of something partway from floor to roof, such as balconies or windows. Combined Indirect/Pythagoras – Measures the total height from a distance. Trapezoid – Calculates angled surfaces such as sloped ceilings, roof slopes that are trapezoidal (4-sided flat shapes with straight, parallel sides). Stake Out – A measurement of the same length repeatedly to install a series of fixtures such as fence posts or telephone poles, light fixtures. Angle Measuring – For measuring the angle between two surfaces, e.g. roof pitch, slanted ceiling angles, or corners that have angles narrower or wider than 90 degrees. Laser tape measures can use either replaceable or rechargeable batteries. Battery life will depend on the way you use the unit. With most measures, new batteries will have to be recharged every 2 to 4 hours. This makes it a good idea to keep spare batteries with you; also, power off the unit between measurements. Some units have an auto shut-off mode to increase battery life. The memory functions that many models contain allow them to store multiple measurements. This is another way of reducing human error, taking away the need to scribble measurements on scraps of paper. Most measures with memory can store at least three measurements. Memory can be a great added bonus for jobs the size of pole barns or larger, and for just about any outdoor job, but a bit of overkill for indoor jobs in small homes. Many laser tape measures also come with a few nice accessories. For example, most include batteries, and some toss in a carrying pouch or a holster and accompanying belt loop. Most laser tape measures include a standard manufacturer’s warranty, meaning the manufacturer will replace the unit if it malfunctions within the warranty period. Rechargeable units generally come complete with a rechargeable battery and a charger. Some measures are made expressly for heavy outdoor use and come with durable cases, scratch-proof or back-lit screens. Others are made for lighter indoor use. Go for a measure that is durable and shock, scratch and water resistant if you are using it outdoors. Scratch resistance is valuable for indoor use, but you will not need water resistance for a measure you’ll be using indoors. A laser tape measure is a great leap forward for a constructioneer of any stripe. Whether you’re in need of just distance measurements, volume and area, or more complex calculation, laser measures represent a great time and effort saver. Low and mid-range models are well suited for common construction and trade uses. Choose a mid-range or higher-end unit if you need to measure extravagant distances or perform complex geometric calculations. Happy shopping!